Pre-order the album + limited edition bundles now at Josh Groban's Official Store and get the digital singles "Pure Imagination" and "What I Did For Love" instantly. The album is also available for pre-order at all participating retailers including iTunes and Amazon. An exclusive edition of the album including 2 extra tracks will also be available at Target. 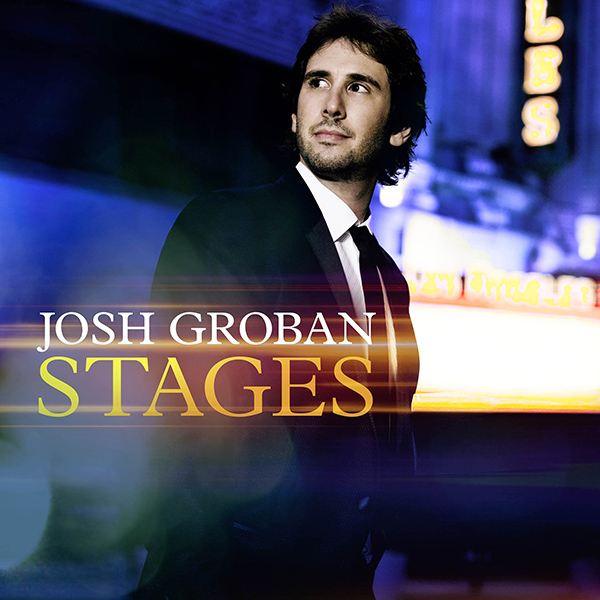 The Stages Deluxe edition is available at retailers including Josh’s Online Store, iTunes, Amazon, and Barnes & Noble. The Stages standard album is available at all retailers.